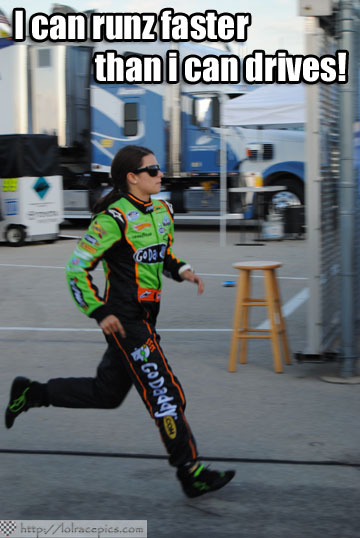 Un-pictured, seven feet behind her, is All Left Turns reporter Jay W. Pennell chasing Danica down for an interview. Props to LOL Race Pics. I’m Tony Stewart … Ting!